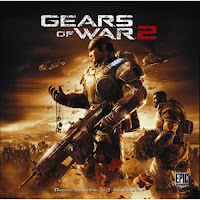 Home » contest , gears of war , gears of war 2 , music , soundtrack , steve jablonsky , The Knight Shift , video games » Here are the GEARS OF WAR 2: THE SOUNDTRACK Steve Jablonsky-signed CDs contest winners! Here are the GEARS OF WAR 2: THE SOUNDTRACK Steve Jablonsky-signed CDs contest winners! A little over two weeks ago we started a contest on this blog. The spoils? Three copies of the Gears of War 2: The Soundtrack CD... personally signed to the winners by composer Steve Jablonsky (the creative force behind the musical scores for Transformers, Desperate Housewives and a wazoo-load of other movies and television shows and other stuff). 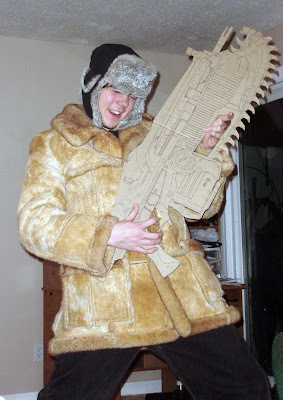 But in order to be eligible to win one of 'em, entrants were asked to send in a picture of themselves doing their best impersonation of any character from established Gears of War canon. Not a "costume contest" so much as that this was about conveying character and heart. 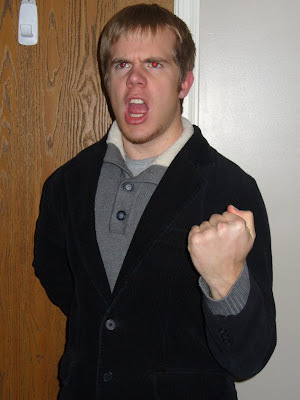 "Carlos (Dom's older brother, from the book. From the chapter where him and Marcus are guarding the emulsion pipeline, in freezing temperatures.....lol)"
Never mind the CD. 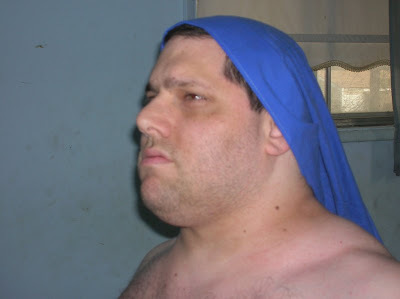 Adam Solomon should be cast as Marcus in the Gears of War movie! He looks just like him!